Legs On The Wall blasts physical theatre into a new and triumphant dimension. 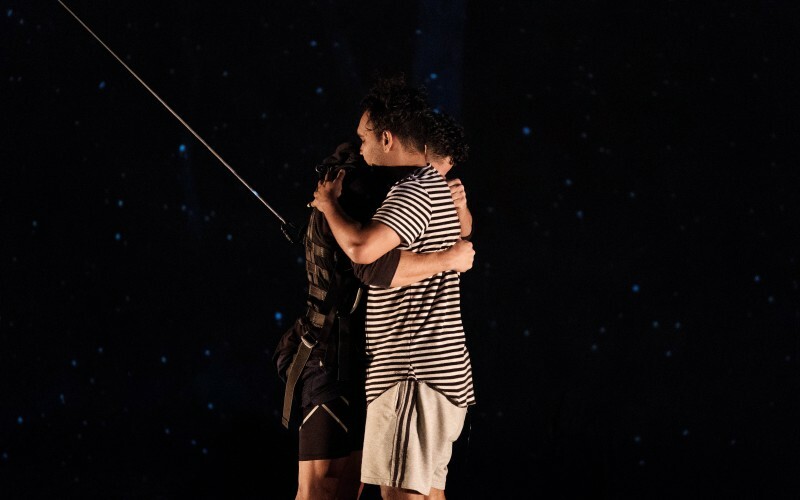 The thriving heart of physical theatre in Australia, Legs On The Wall are known nationally and internationally for their bold exuberance and death defying acts, as they tell poignant stories with depth and humour. Celebrating the capacity of the physical body in motion, Legs use physical metaphor through narrative text based, visual and abstract story telling; working across disciplines, with artists from theatre, physical theatre, circus, dance, design, music and more. Having performed all over the world, Legs will always be known for their bold, visually breathtaking performances of scale and intimacy, for audiences from their tens to their hundreds of thousands.